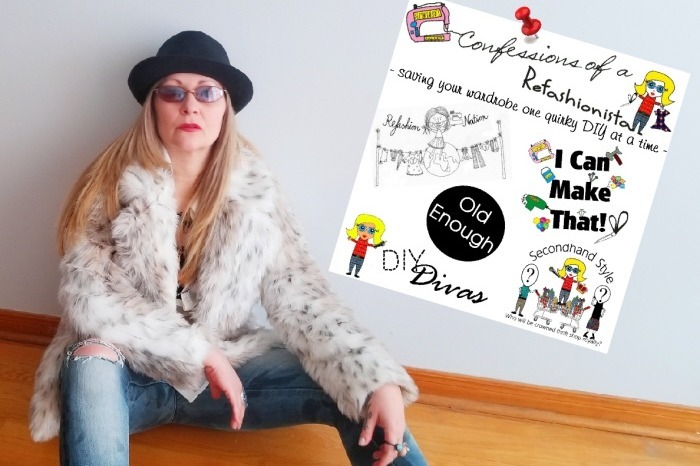 I'm Sheri Pavlovic, a quirky Canadian Refashionista/author/blogger/youtuber who lived a most extraordinary existence in North America, Japan, England, Greece and Germany before finally ending up in Toronto after over 20 years spent living and working abroad in the DIY, Fashion, Publishing & Entertainment industries. 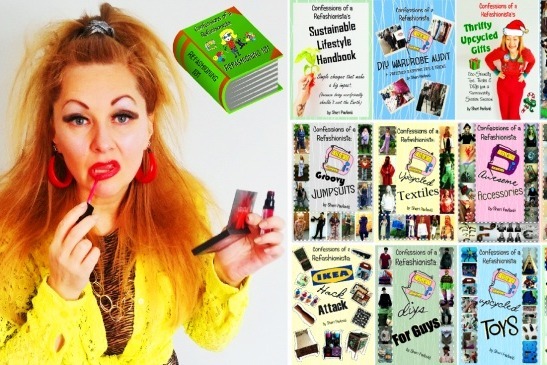 To date I have authored 17 self-produced sustainable lifestyle books and am the DIY diva behind the popular blog & channel Confessions of a Refashionista, fabulously crafty corners of the internet packed with over 1400 free eco fashion articles , thrifty style tips and tricks and budget conscious upcycling tutorials for everything from groovy clothing & accessories to funky home decor (in both photographic and video formats) + a healthy dose of body positive preloved DIY style inspiration! My ambition to inform & encourage others to step away from unethically (& immorally) produced products and embrace an affordable eco-friendly lifestyle is the driving force that motivates me to provide fabulous free refashion, accessory & home decor tutorials as well as sustainable style inspiration & helpful thrifting tips on my Confessions of a Refashionista blog & channel as well as contributing & sharing my creative skills throughout the DIY-ing world. 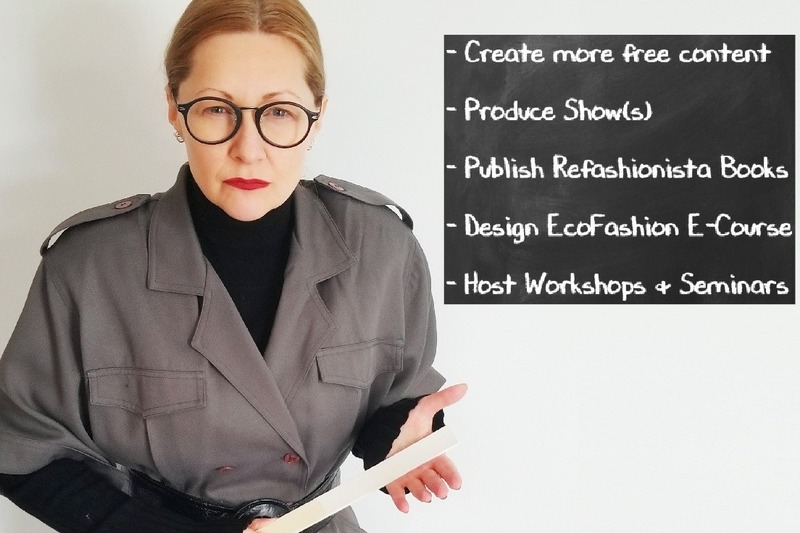 My ultimate goal is to take my ethically sustainable affordable upcycled style message to the masses through production and distribution of my Confessions of a Refashionista series (in either web or streaming platform format), publication of my Refashionista Handbook and eco-lifestyle book series, creation of the Preloved Style/Refashionista e-course, hosting in-person workshops & seminars featuring sustainable topics and expert guests as well as continuing to share my thrifty refashionista sustainable DIY lifestyle expertise online to help others confidently achieve their own unique style regardless of age, size, gender or finances. Any amount helps and regardless of how much you donate 100% of your fab donations will go to supporting my affordable sustainable lifestyle message & cause and allow me to immediately continue creating free content for my blog & channel , finish and publish my refashionista handbook, produce one of my Confessions of a Refashionista Series ideas for web or streaming platforms as well as get started designing my Preloved Style/Refashionista e-course and host in-person workshops and seminars as well! 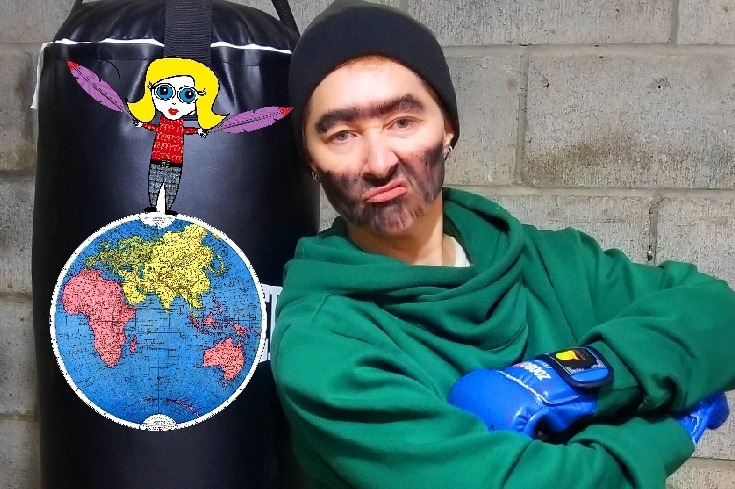 As I'm a one-woman-show I already create, produce and fund all of my own content, imagine what I could accomplish with a bit of support, promotion and encouragement! 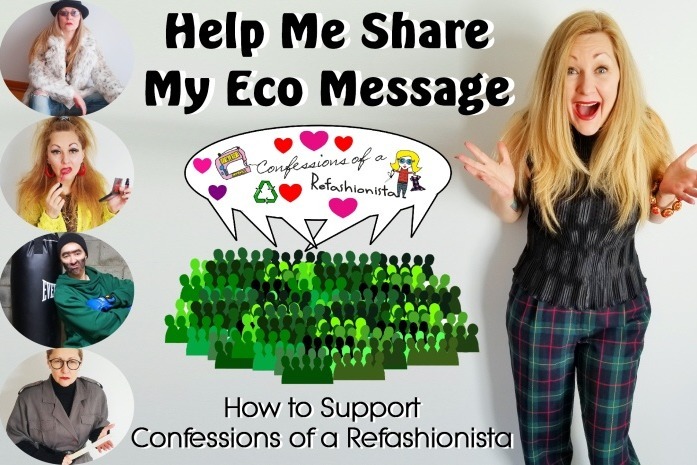 For any donation amount, supporters will receive a "GoFundMe Sustainable Lifestyle Supporter" mention on the Thank-You page of the Confessions of a Refashionista blog. For donations of $500 and above, supporters will receive a Special Thanks mention on the dedication page of the Refashionista Handbook. 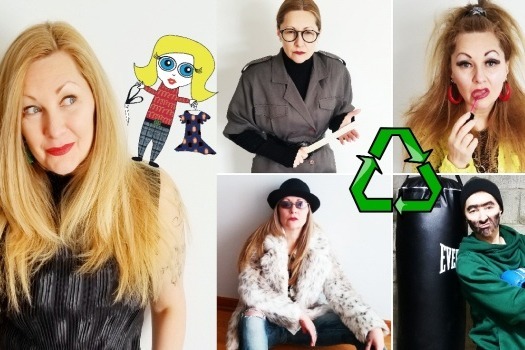 For donations of $1,000 and above, supporters will receive an "Eco-Supporter" production credit on all videos & show reels created with donated funds as well as a Special Thanks mention on the dedication page of the Refashionista Handbook. Help does not have to financial. Simply sharing this campaign and your favourite posts and videos from my Confessions of a Refashionista blog & channel with your online circles, enthusiastically introducing people to my work and encouraging them to follow, like, comment & share would really go a long way to increasing my visibility and those all important behind the scenes numbers which are so crucial when attempting to create opportunities and find the “right” connections needed to help me take my Confessions of a Refashionista to the next level.